diversity of choice in the use of softwares and critical role softwares play in access to information and knowledge. The positions are really not what pertain in most African countries particularly Ghana as result the worrying trend is the wide use of pirated PS, especially Microsoft Windows and Windows based applications in government departments and institutions, private firms and by individuals. In actual fact some users in Ghana think that all softwares can be downloaded and shared for free. This blog captured key findings in a study commissioned by the Free and Open Source Software Foundation for Africa (FOSSFA). A comparison of FOSS and PS use in Ghana is made showing the usage patterns of these software alternatives on both the desktop and server environments. Total cost of ownership in the Ghanaian context is presented. Finally, suggestions on the way forward for FOSS implementation in Ghana. The findings presented are credited to a research project FOSS Advocacy in West Africa and Beyond – (FOSSWAY) commissioned by FOSSFA. The study showed that in the desktop environment Windows OS dominated by as much as 84.7% whiles Linux OS constituted 11.9% followed by 3.4% for Unix OS of respondents. It was observed that the reason for Windows OS dominating is because desktop computers bought came with Windows OS pre-installed. Other reasons where attributed to the ease of use and availability of applications, and technical support. An interesting finding the study pointed out was that users of Linux OS on desktop system said it was easy to use dispelling the misconception about the difficulty of using Linux. Another reason users of Linux gave was its safety and freedom from viruses. On the server side, Windows dominated with 66.7%. Linux on the other hand had more than double (25.4%) the response of those using Linux as desktop OS and 3.2% of responses used Unix OS and 4.8% used Solaris. About 96% of the Linux OS server users had Windows Server deployed alongside the study noted. The users of FOSS mostly are from the technical community, enthusiast and students who install often dual boot with Windows OS. The Ghana India Kofi Annan Centre of Excellence in ICT and user groups like Students Linux Space, LinuxAccra, LinuxLegon, Ghana Open Source Society (GHOSS), Ghana Bloggers Community, Ghana Developers’ Community and Ushahidi Ghana are advocating the adoption of FOSS by institutions in the country and a lot more needs to be done. The framework behind the Total Cost of Ownership combined among others factors which apply to the operations of computer equipment which included; hardware, training, and support measured over the lifespan of the equipment. The study asked respondent to rank key setup-cost factors (software licenses, hardware, technical support, and training for staff) on a scale from 1 (least) to 5 (most) and it emerged that hardware cost contributed significantly to overall set-up cost ranking 4 for PS and 3 for FOSS. Software licenses where less significant in their contribution to set-up cost for FOSS ranking 2 compared to PS which ranked 4. On technical support FOSS was ranked 3 whiles PS ranked 4. Finally, Training was ranked 3 for both PS and FOSS. Although the study did not include specific questions on piracy, the research team gathered that software piracy was high especially amongst individual users. The major challenge the study identified was the absence of any FOSS policy in Ghana and the existing procurement policy does not clearly stipulate terms for procuring softwares. It is interesting to note that in the Public Procurement Act, 2003 (Act 663) a software is defined as “something you buy a license for” which basically saying means we do not consider FOSS. updates and too many OS types. The study in conclusion recommended that government to come Policy on Software or FOSS policy by learning from the South African experience to tackle the issue of software procurement in a holistic manner. It also urged the establishment of FOSS council to further probe FOSS issues in Ghana. We are from time to time getting requests from groups or individuals who want to contribute to this blog or want to share their own projects with us. So we decided to give some of them the possibility to publish here and reach out to our community. More on this in a coming blog post. communication between clinics and patients in areas such as rural South Africa is introduced here in the following. The author of this intro text to Sendinel is Johan Uhle, bachelor student of computer studies at the Hasso-Plattner-Institute at the University of Potsdam, Germany. Regularly going to a clinic or hospital is the basis of good health-care. But traveling to a clinic is, especially in rural areas, connected with a lot of effort, time and cost for the patient. Therefore patients only want to go to the clinic when they feel that it is really necessary. This is one reason why patients sometimes do not attend follow-up consultations or vaccination appointments. On the other hand some people come to the clinic more often than necessary, because they have to check if something they are waiting for, like a medicine or a lab result has already arrived. Thus it would be good if clinics could remind and notify their patients when they have to come to the clinic again. • Patients can be informed about specific topics by the clinic. An example is to inform all pregnant women about the next gymnastics training. 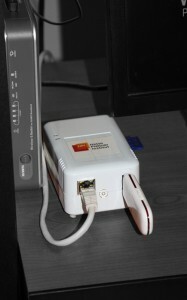 To send the messages no internet connection is required because the messages are sent via an USB 3G Stick with a regular local SIM card. 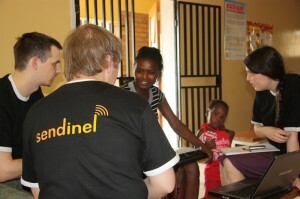 The Sendinel team has successfully deployed the server application to a clinic in rural South Africa on a Plug Computer which costs less than 100 $. If you want to know more about Sendinel please visit the Homepage at http://www.sendinel.org. The software is published under an Open Source License. Sendinel has been developed by a team of seven Bachelor students of IT Systems Engineering at the Hasso-Plattner-Institut in Potsdam/Germany. The project is part of the graduation process and lasts for about nine months until July 2010. The team is currently looking for people who want to use and further develop Sendinel. 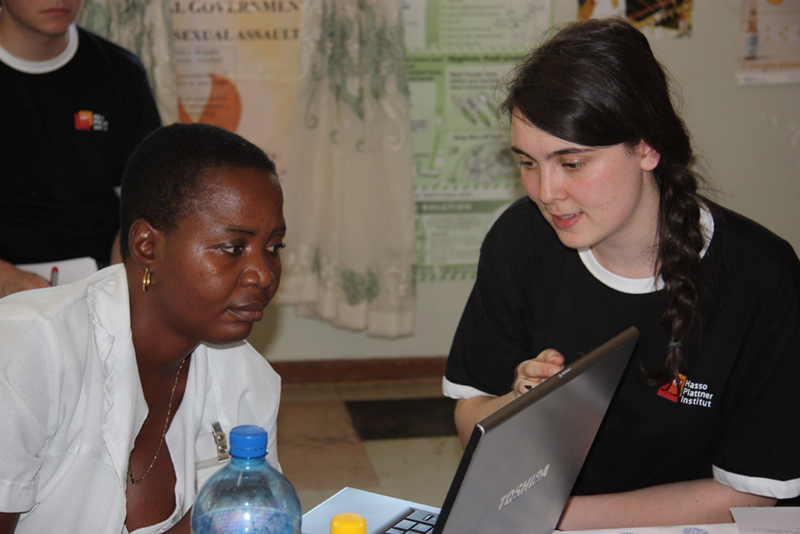 Partners of the project are SAP Research Pretoria, the University of Cape Town and SES Astra. These partners also made it possible for the team to go on a research trip to South Africa in March 2010. During that trip, Sendinel was deployed in a clinic. You can read more about the trip and the resulting findings in this blog post on the Sendinel Blog.